The writing process is not always an easy one. While I have times where my fingers can't type fast enough to meet up with my thoughts, I also have days that I stare blankly into space. Eventually, I get words onto paper, but I have to ensure those sentences tell a story that is not confusing. I am definitely not a pro at the process. Like all professions, it takes plenty of practice to find your voice and to write content people want to read. Writing content takes up a significant amount of time depending on your overall goal. In my opinion, editing should take just as long to ensure you are putting out quality pieces. Through different processes, I have found a routine that works for me. If you are struggling with the editing portion, I have a few tools that might be beneficial to others. Almost all the tools I use are free (with the option of upgrading if you want) and make the process less stressful. This might seem somewhat excessive but will help you produce the best content. The first read usually consists of me just skimming through the article for any big mistakes that could be fixed. I'll read it in my head and ensure the outline sounds smooth and that I have articulated my point. My second read happens after I have used several editing tools on the piece (which I'll talk about later). I'll read this out loud to myself. In school, I had a teacher that would have us sit in a private area and read our stories out loud to ourselves. Not only did I find this extremely useful but I do this process with every writing prompt. Reading out loud gives you a chance to hear how it sounds. You would be amazed at what mistakes you missed when reading out loud. This doesn't necessarily help with spelling or grammar but improves your overall voice (get rid of those awkward areas). The third time is usually read by someone besides myself. Not all of us have someone who can skim over our work, and that is entirely understandable. I sometimes have my boyfriend read articles, but it would be impossible for him to proofread everything I wrote. While this third reading can be optional, you can also use different tools online or pay someone to correct your work. Like I said before, I have several tools I use to help in my editing process. This takes somewhat more time but is completely worth it to invest the time. If you read my beginning work from my website, you can see an improvement over time. This is because I now utilize proper grammar sites that see problems your word document misses. Everything I use is free but, for a fee, can be upgraded for better editing depending on your needs. The primary tool I use and believe is vital for any writer is Grammarly. This has positively changed my life. You can download this to your web browser and desktop to use and has fantastic benefits for the free edition. 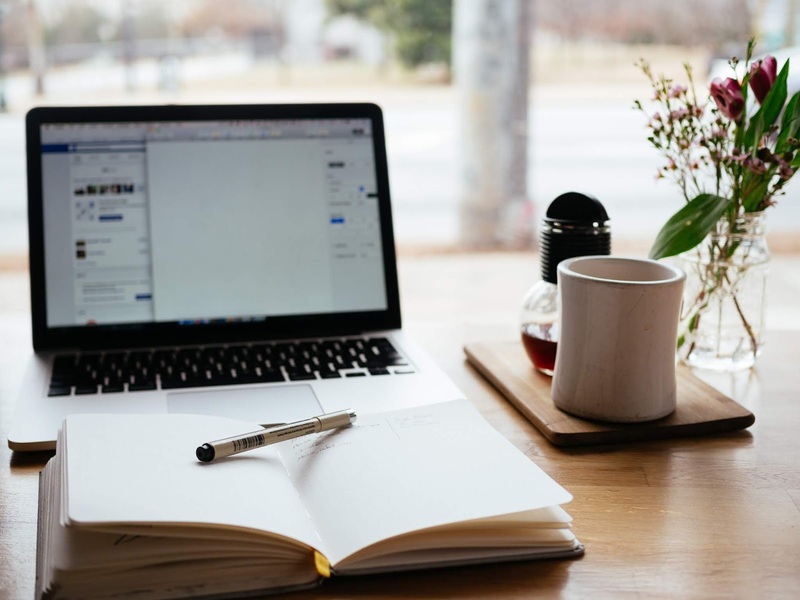 When you enter an article, it will ask you a few questions about the type of writing (emotion, intent, style, and the audience). This helps the program know the overall goal of your piece so that they can properly check it. For free, the program will check simple spelling and grammar errors that your word document probably won't pick up. It will help find areas that need more punctuation, awkward sentences, and any words that are missing. If you have the funds, I would highly suggest purchasing the upgraded version! You can pay monthly, quarterly, or annually, depending on your preferences. This version goes above and beyond by looking at word choice, punctuation, weak structure, wordy sentences, and so much more. It also has a plagiarism tool for you to double check your work and a human proofreader to look over everything (for that third read). The platform also shows you how many sentences, paragraphs, characters, and words are in a given piece. You can see what reading level you're at and look at all the detailed insights. One con is that it can only withstand so much in a given document. This means large books can't be added all at once, but you can just copy and paste a chunk at a time for editing in this case. If you only use one tool out this article, I would highly suggest picking Grammarly. This is a program you can find on the internet that gives you somewhat more insight into your writing. You just copy and paste whatever you are editing into the little box, and it analyzes the piece. It won't give you grammar or spelling checks, but it gives you somewhat more insight than other tools will. Wordcounter will show the basics (characters, sentences, paragraphs, etc.) but will also show the reading level and the time it takes to read it out loud and in your head. What I mainly use it for is the statistics on repeated words. I have a terrible habit of overusing certain words in an article. The tool breaks down your most used words and shows how many times you have used them as well as the percentage of a word compared to the entire piece. Not only does this help you change up your vocabulary but it can help you plan out keywords for SEO. SEO (Search Engine Optimization) is what helps you show up on the top pages of search results. Google takes everything into calculation when finding articles to put on their top pages. One of these is the number of keywords you have in any given writing prompt compared to your title. If you are talking about socks, for example, Google will look through the page to see how many times you have utilized this word. This is a way of ensuring the article is about whatever you intended to talk about. Regarding SEO, there is no fantastic percentage I can give you for keywords. Personally, from what I have read, a keyword density between 1-3% is a decent range to shoot for. You don't want a high percentage because you will run the risk of keyword spamming, something that can be detrimental to your SEO. This tool helps you get a better idea of where you are at and any changes you might need to make. Again, this is a program you find online that helps in grammar. It works in the same way as Grammarly by searching your article for areas that could use improvement. You have a free trial to start off and, if you like it, can purchase a subscription. This is cheaper than Grammarly for anyone who wants help but can't afford that tool. Once it has officially 'graded' your work, it will highlight different areas with various color to show issues. The sidebar has different areas to fix (cliches, misused words, etc.) and once you click on it, you will see the section that needs to be worked on. Some of the errors will show easy fixes while others give you ideas of what to change. This one takes somewhat more work than Grammarly (they give an answer to the problem) but is a cheaper alternative. If you don't want to pay for the subscription, you can also enable ads to receive everything it has to offer for free. Want to use Proofreading Tool but don't have the money? You can do this, but it will only show you the potential of grammar suggestions instead of a detailed analysis. 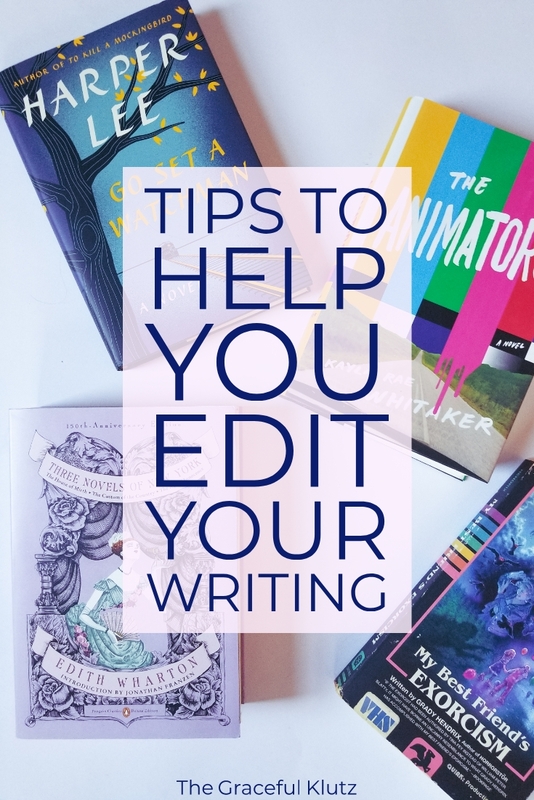 I hope this has helped you find new ways of editing your work! After I have thoroughly revised everything and have my final draft I still tend to read it over just to ensure it sounds accurate. This isn't necessary but helps if you have perfectionist tendencies with your writing. Please leave a comment on here or my social media accounts what you use to help you with the editing process. I love sharing amazing tools and trying out programs that help improve writing.